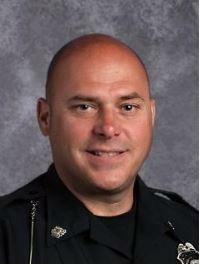 Officer Aaron Vanatta's belief that school safety begins with quality relationships between staff, students and their families creates a culture where safety is the responsibility of our entire school community, not simply faculty, staff and law enforcement. He works tirelessly to keep our buildings safe, by incorporating programs to educate and mentor students in a caring and nurturing way. Students respect him, colleagues learn from him, and the community appreciates him. Not only is officer Vanatta the District’s police officer, he’s also a guest speaker in classrooms and acts as an informal counselor to help students, faculty, and staff with any concerns. He has implemented outreach programs, conducted assemblies, written grants, formed partnerships, led trainings, and formulated the District’s entire safety and security plan. He is often called upon by media outlets and organizations all across the country to speak and instruct as an expert in school safety and security. He’s not just our police officer. He is the coordinator and architect of safety and security measures across the District. Officer Vanatta has over 1600 hours of training focusing primarily on school safety and working with the juvenile client population. 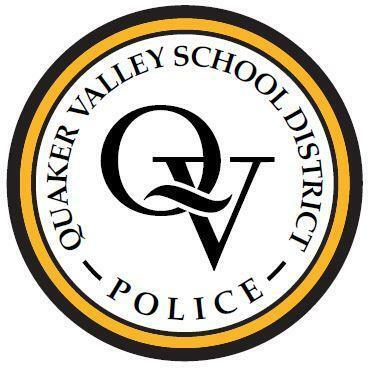 In addition to serving Quaker Valley where he was presented with a national SRO model agency award in 2017 and the Velma Award given to a district employee who "sticks their next out" in 2018, Officer Vanatta is also a part-time police officer in South Strabane Township, he serves as the Region 3 Director (PA,NY,NJ, & DE) for the National Association of School Resource Officers, and is on the Board of Directors for Friends of Safe Schools U.S.A.-Pennsylvania Chapter. Each school has a building level safety team comprised of administrators, teachers, school counselors, and Officer Vanatta. These teams meet regularly to discuss emergency management procedures and safety concerns in their buildings. Ensuring the safety of our schools involves multiple components, including physical security (safe buildings, grounds, & equipment), community partnerships, adequately trained faculty, staff, and students, and a positive school climate where students feel healthy, safe, connected, included, and respected. 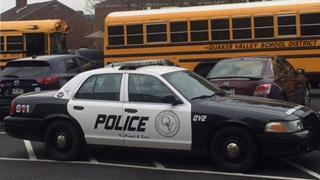 The school district also incorporates violence prevention efforts in the form of a threat assessment process. This plan includes multidisciplinary threat assessment teams primarily used at the high school and middle school levels who identify or receive reports of behaviors of concern through the student assistance program process or one of several reporting mechanisms listed below. These teams assess the concerning behaviors, develop risk management options, and place protective factors in place to help students succeed and to promote safe school climates. Faculty, staff, students, parents, and the community are encouraged to report any concerns using any of of our reporting mechanisms. For urgent matters which require immediate assistance or in cases of emergency, please dial 911 and speak to a dispatcher.